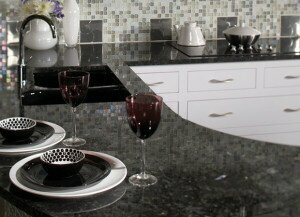 Granite countertops are easy to care for and will add great value to your Lakeland, FL home. Granite has long been the gold standard in countertops for professional chefs. Granite countertops resist bacteria growth, so it’s easy to wipe down a surface that you used to cut meat and immediately start chopping fresh vegetables. When granite is formed, the process involves using high temperatures and a lot of pressure to develop the unique layered look, so it is very durable. This is a key reason why chefs prefer granite countertops in their kitchens as well. Granite countertops add value to a home, and will not depreciate over time. 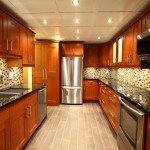 Unlike trendier options, granite will not make a kitchen look outdated. It has been around for many years, but was often viewed as an extremely high-end luxury option, or something that was only used in top-notch restaurants. Therefore, when you add it to your kitchen, it still provides that overall “wow” factor and appeal to potential buyers, or even just to guests in your Lakeland, Florida home. Granite countertops are also a great option for your bathrooms, where they can withstand heat from curling irons or other hair styling tools that sit on the counter while in use. At Jim’s Floor Depot, we can help you choose a style of granite that will look great with your color scheme. We offer our services in and around Lakeland, Florida. As you choose your granite countertops, consider the fact that each slab is slightly different, which adds a unique flair to your kitchen or bathroom.